The UN Guiding Principles on Business and Human Rights [PDF] require businesses to assess whether their operations have a harmful effect on human rights and to mitigate such harms by, for instance, engaging with local communities and altering particular production or supply lines. Businesses are required to abstain from activity in business environments where harms cannot be mitigated. 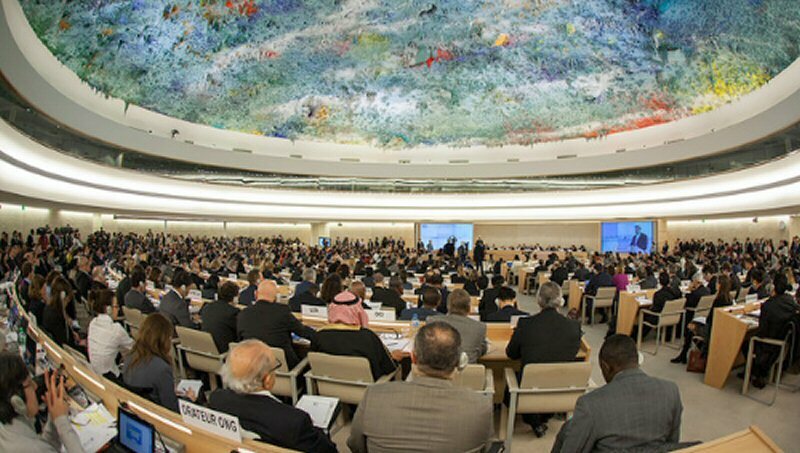 HRC resolution 31/36 affirms that a business undertaking operations in Israel’s settlements is unable to mitigate the adverse impact of its activities on the severity and frequency of violations of human rights. Despite this important task, both proponents and opponents have dubbed the database a “blacklist” – a semantic twist that is intended to undo the image of a soft mechanism with a mandate to document, report, and engage interested parties into a coercive tool that shames offenders into compliance. This unfounded image of the database’s function and purpose intends to mislead states and business of its proper purpose in line with the OHCHR’s mandate. The database is neither tasked with the adjudication [PDF] of the responsibility and liability of concerned parties, nor is it institutionally equipped to engage in law enforcement activities. Via the Al Shakaba Palestinian Policy Network. "Last week’s outrageous decision by the Supreme Court to allow the Israeli army to demolish the entire village of Khan al-Ahmar was a devastating blow to the families who have spent nearly a decade campaigning and fighting a legal battle to remain on their land and maintain their way of life. Going ahead with the demolition is not only cruel, it would also amount to forcible transfer, which is a war crime,” said Amnesty International’s Deputy Director for the Middle East and North Africa, Magdalena Mughrabi. “The Supreme Court’s ruling is extremely dangerous and may set a precedent for other communities that oppose Israeli plans to relocate them to urban centres. The Israeli authorities must abide by their international legal obligations and abandon any plans to forcibly transfer Khan al-Ahmar and any other communities." Khan al-Ahmar is inhabited by about 180 residents from the Jahalin Bedouin tribe. 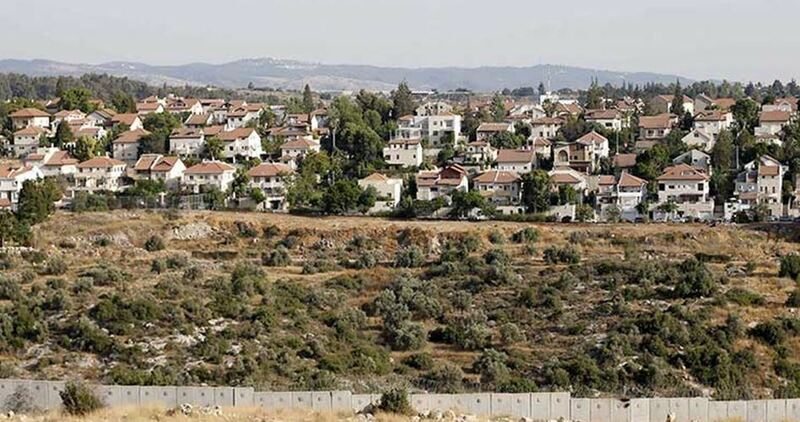 It is surrounded by several illegal Israeli settlements east of Occupied Jerusalem. For more than 60 years, members of the Jahalin Bedouin tribe have been struggling to maintain their way of life. Forced from their lands in the Negev desert in the 1950s, they have been continually harassed, pressured and resettled by successive Israeli governments, Amnesty’s report read. In late August 2017, Israeli Minister of Defence Avigdor Lieberman announced that the Israeli government would evacuate the entire community within several months. On 24 May, Israel’s Supreme Court ruled in favor of demolishing the entire village of Khan al Ahmar, including its school which is constructed from rubber tyre and provides education for some 170 children from five different Bedouin communities. The Court ruled that the village was built without relevant building permits, even though these are impossible for Palestinians to obtain in the Israeli-controlled areas of the occupied West Bank known as Area C.
Khan al-Ahmar is located about two kilometres south of Kfar Adumin settlement in the occupied West Bank. The Bedouin community living there suffers from recurring Israeli settler violence, including on children, as well as attacks on their homes. The Israeli authorities have refused to connect the village to water and electricity supplies, and have restricted their grazing land. Israeli forces continued with systematic crimes in the occupied Palestinian territory (oPt) for the week of 24 – 30 May, 2018. Israeli forces continued to use excessive force against Palestinian peaceful protestors in the Gaza Strip and the West Bank. Six Palestinian civilians succumbed to their wounds, 5 of whom were injured during the Great March of Return, in the Gaza Strip. 120 Palestinian civilians, including 19 children, 5 women and 2 journalists, were wounded in the Gaza Strip and West Bank. Israeli forces continued to use force against Palestinian civilians, who participated in peaceful demonstrations organized within the activities of the “Great March of Return and Breaking the Siege” in the Gaza Strip, which witnessed for the 9th week in a row peaceful demonstrations along the eastern and northern Gaza Strip border area. During the reporting period, in the Gaza Strip, the Israeli forces wounded 101 Palestinian civilians, including 16 children, 3 women, and 2 journalists; two of the wounded are in serious condition. Meanwhile, 6 civilians succumbed to their wounds. In the West Bank, 19 Palestinian civilians, including 3 children and 2 women, were wounded. Ahmed ‘Ali Mustafa Qatoush (28) from al-Zawaydah was hit with a bullet to the knee in eastern al-Bureij in the central Gaza Strip and succumbed to his wounds on 24 May 2018. Muhanad Baker Mohammed abu Tahoun (20) from al-Nussairat was hit with a bullet to the head in eastern al-Bureij in the central Gaza Strip and succumbed to his wounds on 24 May 2018. Hussein Salem Abu ‘Aweidah (41) from al-Sha’af neighbourhood was hit with a bullet to the back in eastern al-Zaytoun neighborhood in eastern Gaza and succumbed to his wounds on 26 May 2018. Naser ‘Aref ‘Abdel Ra’ouf al-‘Arini (27) from al-Twam neighborhood in Jabalia was hit with a bullet to the abdomen in eastern Abu Safiyah Hill in eastern Jabalia and succumbed to his wounds on 28 May 2018. Naji Maysarah ‘Abdullah Ghunaim (23) from al-Brazil neighborhood in Rafah City was hit with an explosive bullet to the right thigh and succumbed to his wounds on 30 May 2018. The demonstrations have been entirely peaceful with an outstanding participation of women, elderlies and children, as the fieldworkers have not witnessed any armed manifestations. Ambulances, medical staff, and field medical points were deliberately and directly targeted and prevented from approaching those wounded in addition to causing injuries among them. Journalists were directly targeted, causing injuries among them. The Israeli fire deliberately targeted the upper part of the body as dozens sustained wounds to the head and chest and many are in critical condition; thus, the number of deaths is likely to increase. As part of the Israeli settlers’ attacks against the Palestinian civilians and their property, on 27 May 2018, a number of settlers cut 700 grapevines in al-Fahs area, south of Hebron. The settlers also wrote racist slogans in Hebrew on an agricultural barrack in the attacked lands. It should be mentioned that this is the third time the settlers cut grapevines in Hebron within May only as 1100 grapevines were cut on 16 and 23 May 2018. On 28 May 2018, settlers cut 100 fruitful grapevines in Kafr Malek village, northeast of Ramallah. At approximately 15:30 on Friday, 25 May 2018, thousands of Palestinian protestors swarmed to the Return encampments established by the Supreme National Authority for the Great March of Return; 350 meters away from the border fence between Israel and the Gaza Strip, east of al-Buraij in the central Gaza Strip. A number of young men approached the border fence, set fire to tires and threw stones at Israeli soldiers stationed behind the border fence. The soldiers fired live bullets and tear gas canisters at the protestors and the participants’ gathering in the Return encampment. The clashes continued until the evening. As a result, 9 civilians were wounded. Five of them were hit with live bullets and 4 others were directly hit with tear gas canisters. The wounded were transferred via an ambulance belonging to the Palestine Red Crescent Society (PRCS) to al-Aqsa Hospital in Deir al-Balah. Doctors classified their injuries between minor and moderate. At approximately 16:00, hundreds of civilians, including women and children started swarming into the demonstration yard in the Return encampment, east of Khuza’ah village, east of Khan Younis n the southern Gaza Strip to participate in the “Holding over Despite the Closure” Friday as named by the Supreme National Authority for the March of Return and Breaking the Siege. Dozens of civilians moved into the north of the camp, set fire to tires, chanted national slogans and raised flags. Some of them attempted to approach the border fence between the Gaza Strip and Israel. Israeli forces stationed behind hills and sand barriers and in military vehicles along the border fence sporadically and limitedly opened fire at the protesters and fired tear gas canisters at them and in the center of the camp. The shooting and teargasing sporadically continued for until approximately 19:00 on the same day. As a result, 29 civilians, including 2 children, were wounded. Four of them were hit with live bullets and 25 were directly hit with tear gas canisters. They received medical treatment in the field hospital and at Nasser, Gaza European and the Algerian Hospitals. At approximately 17:00 on the same Friday, Israeli forces stationed behind the border fence between the Gaza strip and Israel, east of Abu Safiyah Hill, northeast of Jabalia in the northern Gaza Strip, fired live and rubber bullets and tear gas canisters at hundreds of civilians for the ninth Friday within the activities of “The Return March and Breaking Siege” upon a call from the Supreme National Authority. The protestors set fire to tires and threw stones from far distances at Israeli soldiers stationed behind sand barriers. The clashes continued until approximately 19:30. As a result, 9 civilians were wounded. Three of them were hit with live bullets and 6 civilians were directly hit with tear gas canisters. The wounded civilians were transferred via ambulances belonging to PRCS, Medical Services, Union of Health Work Committees and the Ministry of Health to the Indonesian Hospital. Doctors classified their injuries between moderate and minor while the injury of one civilian as serious. Around the same time, thousands of civilians gathered in eastern side of Malakah intersection, east of al-Zaytoun neighborhood, east of Gaza City, to participate in the “The Great March of Return and Breaking Siege” activities. A number of them threw stones at Israeli soldiers stationed behind the border fence between the Gaza Strip and Israel. The soldiers fired live and rubber bullets and tear gas canisters at them. As a result, 42 civilians, including 3 children, 2 women and photojournalist ‘Ali Hasan Jadallah (27), were wounded. The journalist who works at the Anadolu Agency was hit with a tear gas canister to the chest. Around the same time, thousands of Palestinian civilians, including women and children within entire families, swarmed to the Return encampment established by the Supreme National Authority for the Great March of Return and Breaking Siege, east of al-Shwakah village, east of Rafah in the southern Gaza Strip, around 300 meters away from the border fence between the Gaza Strip and Israel. The protestors raised the Palestinian flags, chanted national slogans, set fire to tires and flew paper kites. A number of them approached the border fence and threw stones at Israeli soldiers. The soldiers fired live bullets and tear gas canisters at the protestors. The clashes continued until approximately 19:00. As a result, 11 civilians, including 4 children, a woman and a journalist, were wounded. Two of them were hit with live bullet shrapnel and 9 were directly hit with tear gas canisters, including photojournalist Amir Mohammed Rushdi al-Maghari (22). The wounded civilians were taken to field hospitals in the camp and their wounds were classified as moderate. Two of them were transferred to Abu Yusuf al-Najjar Hospital in Rafah city. During the clashes, the Israeli soldiers targeted an ambulance belonging to the Ministry of Health with a tear gas canister. As a result, the ambulance crew comprised of a driver, a paramedic and 2 wounded civilians who were inside the ambulance suffered tear gas inhalation. At approximately 00:15 on Sunday, 27 May 2018, Israeli soldiers stationed behind the border fence between the Gaza Strip and Israel fired live bullets and flare bombs at dozens of Palestinian young men who gathered in the Return camp near the border fence, east of al-Shawkah, east of Rafah in the southern Gaza Strip. However, no casualties were reported. At approximately 18:00 on Monday, 28 May 2018, Israeli soldiers stationed behind the border fence between the Gaza Strip and Israel opened fire at a 20-year-old civilian from Khuza’ah. As a result, he was hit with 2 live bullets to the legs while he was at the vicinity of the Return encampment. The wounded civilian was transferred to Gaza European hospital to receive medical treatment. Doctors classified their injuries as moderate. At approximately 18:10 on Wednesday, 30 May 2018, Israeli soldiers opened fire at a group of young and children who were about 150 meters away from the border fence between the Gaza Strip and Israel, east of al-Buraij in the central Gaza Strip during their participation in the March of Return. As a result, a 15-year-old child from al-Maghazi was hit with a live bullet to the back and penetrated his chest. The child was admitted to al-Aqsa Hospital in Deir al-Balah via a PRCS ambulance and then was referred to al-Shifa Hospital in Gaza City. At approximately 19:00 on Thursday, 24 May 2018, medical sources at al-Shifa Hospital in Gaza City announced the death of Ahmed ‘Ali Mustafa Qatoush (28) from al-Zawaidah succumbing to his previous wounds. According to PCHR’s investigations, Qatoush was hit with a live bullet to the right knee during his participation in the Great Return March on Monday, 14 May 2018, east of al-Buraij in the central Gaza Strip. He was admitted to al-Aqsa Hospital in Deir al-Balah and then was referred to al-Shifa Hospital in Gaza City due to his serious injury to continue his medical treatment. He stayed at the hospital until his death was announced. At approximately 21:00 on the same Thursday, medical sources at al-Ahli Hospital in Hebron announced the death of Muhanned Baker Mohammed Abu Tahoun (20) from al-Nuseirat in the central Gaza Strip succumbing to his previous wounds. According to PCHR’s investigations, Abu Tahoun was hit with a live bullet to the head during his participation in the Great Return March on 14 May 2018, east of al-Buraij in the central Gaza Strip. He was admitted to al-Aqsa Hospital in Deir al-Balah and then was referred to al-Shifa Hospital in Gaza City due to his serious injury. On 23 May 2018, Qatoush was referred to al-Ahli hospital in Hebron in the West Bank where he died in the next day. On Friday, 25 May 2018, Palestinian Ministry of Health announced the death of Yasser Sami Sa’ad Eden Habib (25) from al-Sheja’ieyah neighborhood, east of Gaza City, succumbing to his wounds. According to PCHR’s investigations, Habib was hit with a live bullet to the neck during his participation in the Great Return March on 14 May 2018, in the eastern side of Malakah intersection, east of al-Zaytoun neighborhood, east of Gaza City. Habib was admitted to al-Shifa Hospital in Gaza City and then was referred to Mar Youssef Hospital in East Jerusalem to continue his medical treatment. Habib stayed at the hospital until his death was announced. At approximately 14:00 on Saturday, 26 May 2018, Palestinian Ministry of Health announced the death of Husein Salem Abu ‘Oueidah (41), from al-Sha’af, succumbing to his wounds. According to PCHR’s investigations, Abu ‘Ouweidah was hit with a live bullet to the back during his participation in the Great Return March on 14 May 2018, in the eastern side of Malakah intersection, east of al-Zaytoun neighborhood, east of Gaza City. He was admitted to al-Shifa Hospital in Gaza City and then was referred to a hospital in Israel to continue his medical treatment due to his serious injury. He stayed at the hospital until his death was announced. At approximately 13:00 on Monday, 28 May 2018, medical sources at the Indonesian hospital in Jabalia announced the death of Nasser Abdul Ra’ouf al-‘Areni (27) from al-Twam neighborhood in the northern Gaza Strip, succumbing to his wounds. According to PCHR’s investigations, al-‘Areni was hit with a live bullet to the abdomen during his participation in the Great Return March on 14 May 2018,east of Abu Safiyah Hill, east of Jabalia. Al-‘Areni was admitted to the Indonesian Hospital where he underwent 4 surgeries in which parts of the internal organs were removed due to its laceration. Al-‘Areni stayed at the hospital until his death was announced. It should be noted that al-‘Areni was supposed to leave the hospital on Monday 28 May 2018 to receive medical treatment at Mar Youssef Hospital in occupied Jerusalem after he obtained a permit and his parents were waiting a call from the Medical Coordination Department when he is leaving, but he died. At approximately 11:30 on Wednesday, 30 May 2018, medical sources in Gaza European Hospital in Khan Yunis announced the death of Naji Maisarah Abdullah Ghuneim (23) from al-Brazil neighborhood in Rafah, succumbing to his wounds. Ghuneim was hit with a live bullet to the right thigh during his participation in the Great March of Return on 18 May 2018, in al-Shawkah village, east of Rafah near the border fence between the Gaza Strip and Israel. Ghuneim was admitted to Abu Yusuf al-Najjar Hospital in Rafah and then referred to Gaza European Hospital in Khan Yunis. He was later referred to al-Mutala’ Hospital in Jerusalem due to his serious injury. He was hit with an explosive live bullet, cutting the main artery, and leading to severe bleeding. Ghuneim was admitted to the ICU where his death was announced. At approximately 10:20 on Friday, 25 May 2018, a group of Palestinian civilians protested at the northern entrance to Qalqiliyah “Eyal” They chanted national slogans demanding to end occupation, condemning removing the U.S embassy to occupied Jerusalem and the Israeli forces’ crimes against Palestinian protestors along the eastern border of the Gaza Strip. The protestors set fire to tires and threw stones at Israeli soldiers stationed at the abovementioned checkpoint. The soldiers fired rubber bullets, sound bombs and tear gas canisters at the protestors and chased them. they also arrested 2 civilians, including a child, namely Motiam Khaldoun Mohammed Redwan (17) and Tha’er Ashraf Mohammed Zaid (19). At approximately 16:00 on Saturday, 25 May 2018, a group of Palestinian civilians moved from Kufor Qaddoum village, northeast of Qalqiliyah, to the eastern entrance to the village, which has been closed for 15 years in favor of the entrance to “Kedumim” settlement established on the village lands. The protestors chanted national slogans demanding end of occupation, condemning the U.S President Donald Trump’s decision to recognize Jerusalem as the capital Israel and condemning the Israeli forces’ crimes against Palestinian protestors along the eastern border of the Gaza Strip within “The Great March of Return and Breaking the Siege” activities. The protestors set fire to tires, threw stones at Israeli soldiers stationed behind sand barriers. The soldiers fired rubber bullets, sound bombs and tear gas canisters at them. As a result, a 23-year-old civilian was hit with a rubber bullet to the head. On Friday afternoon, 24 May 2018, a similar demonstration was organized at the abovementioned entrance. As a result, many civilians suffered tear gas inhalation. At approximately 10:00 on Sunday, 27 May 2018, Israeli forces accompanied with a vehicle of the Israeli Civil Administration moved into Kherbit al-Mofaqarah, east of Yatta, south of Hebron. They stationed between Palestinian civilians’ houses and then an Israeli Civil Administration officer took photos of the houses and handed the residents notices to stop construction works under the pretext of non-licensing in areas classified as area (C). The houses, which were notified, belong to No’man Shehdah al-Barakandi, Fasdel Hasan al-Hamamdah, Hussain Ahmed al-Hamamadah, Maher Khalil al-Hamamdah, and Jamal Mousa al-Barakandi. On Sunday, 27 May 2018, a number of Israeli settlers cut with saws over 700 grapevines belonging to Mohamed Shokri Na’iem Abu Rajab and his 3 siblings in al-Fahs area lands, south of Hebron. Israeli settlers wrote racist slogans in Hebrew on an agricultural container located in the abovementioned land. It should be noted that this is the 3rd time the Israeli forces cut grapevines in Hebron during this May. On 16 May 2018, the settlers cut 400 grapevines in al-Morajamah area, north of Hebron. On 23 May 2018, the settlers cut around 700 grapevines in lands adjacent to the bypass road (60). On Monday, 28 May 2018, a group of Israeli settlers, from “Kochav Shahar“ settlement, uprooted over 100 fruitful grapevines in Kafur Malek village, east of Ramallah. 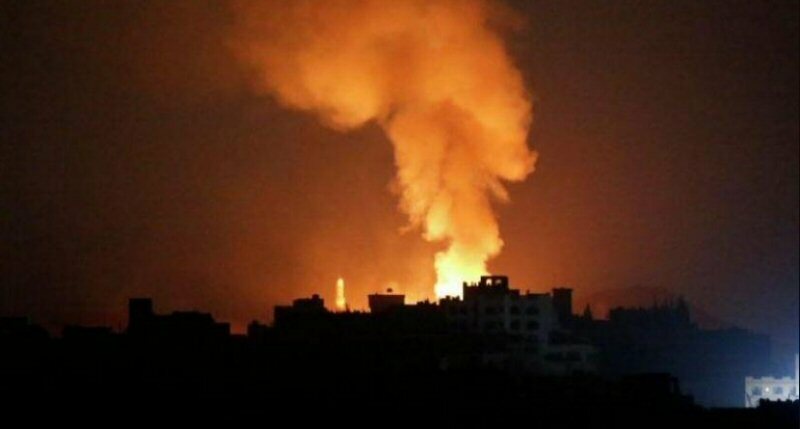 The attacked a plot of land belonging to Eyad Sa’ied Mo’adi. Israel and Palestine Director of Human Rights Watch (HRW), Omar Shakir, was given leave to remain in the country, yesterday, after the Jerusalem District Court blocked his deportation order. Two weeks ago, Israel’s Ministry of Interior had ordered Shakir to leave Israel or be forcibly expelled on 24th May. The reason for this decision had been Shakir’s alleged support of the BDS campaign; he denied these claims and insists he has instead been targeted for his criticism of the Israeli government. According to the PNN, yesterday’s last-minute reversal allows Shakir to stay until 2ndJuly, when a court hearing is scheduled to determine whether he can work long-term in the region. The Ministry of Interior’s order was frozen by Jerusalem District Court on the grounds that it had been based on ‘old facts’. HRW announced the court’s verdict shortly after they had organised a press conference in Jerusalem, which was set to update journalists on the legal proceedings filed by Shakir and HRW to block his deportation order. In light of yesterday’s announcement, the news conference, due to be held today, shortly before Shakir left the country, has been cancelled. This month has seen a crackdown on human rights officials by Israel. As well as Shakir’s mistreatment, The Mossawa Center’s director Jafar Farah was arrested last week in Haifa and his knee was broken by Israeli police during his incarceration. By allowing Shakir to remain, Israel might hope to stem the tide of international criticism over its recent handling of human rights officials.